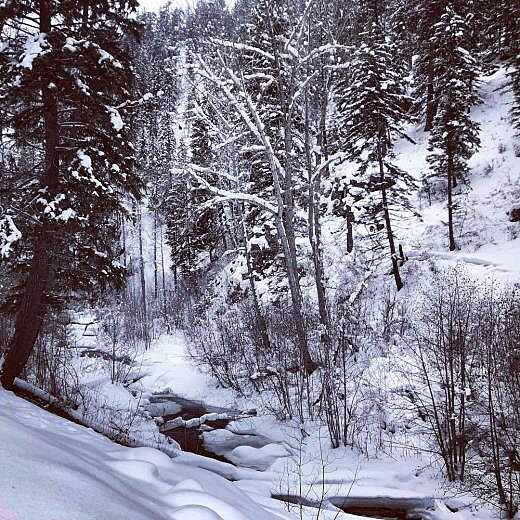 Skiing into Cedar Creek isn’t easy, but a few Montana Trout Unlimited members willing to brave this year’s deep snow were rewarded with more than pretty scenery. 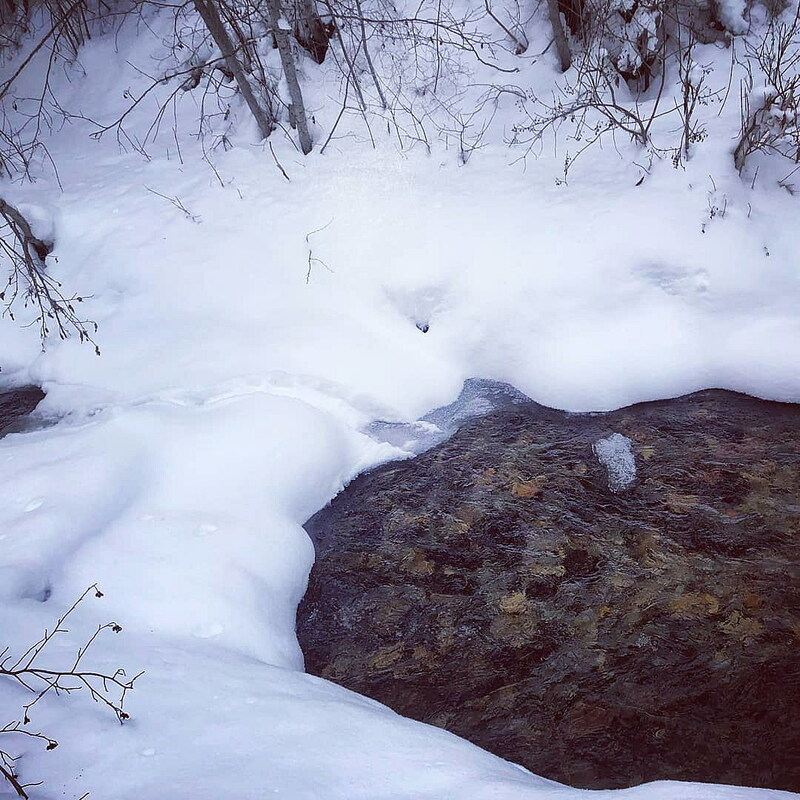 A few days ago, on her way up the drainage near Superior, Trout Unlimited project manager Tess Scanlan did a bit of a double take as she stared at one of the jumbles of wood she had helped position along the stream. Where there should have been an undisturbed pillow of white covering the wood, she saw a narrow channel through the snow connecting two areas of open water. It could signal only one thing: beavers. A decade ago, Cedar Creek wasn’t healthy enough to support beavers or a thriving population of native fish. A long history of placer mining had degraded the stream and surrounding riparian areas. Streambanks were damaged, some segments of the stream channel had been rerouted, and large woody debris and natural formations within the channel had been removed, according to Lolo National Forest documents. As a result, fish populations were well below historic levels, and biologists said the stream should be able to support more, if it were restored. And if any Clark Fork tributary should be restored, it is Cedar Creek, because it still supports predominately native fish, where other tributaries support a mix of native and introduced trout species. Most importantly, it is a key stream for threatened bull trout, since it starts high up on the Montana-Idaho border and brings cold, clear water downstream to the Clark Fork. Fortunately, a longtime landowner whose family mined the area wanted his property to become public land. So in 2009, Five Valleys Land Trust worked with him to transfer 204 acres along five miles of stream to the Forest Service. Funding came from the Montana Fish and Wildlife Conservation Trust, the federal Land and Water Conservation Fund, and Northwestern Energy as mitigation for the long-­term downstream effects of Milltown Dam on bull trout. Prior to that, half of the 20 miles of Cedar Creek was on private land, making restoration more difficult. Since 2009, the Superior Ranger District, Montana Fish, Wildlife & Parks and the Westslope Chapter of Trout Unlimited have worked to remove or reposition six sections of road out of the floodplain, stabilize streambanks and add more than 100 jumbles of branches and tree trunks to help the stream re-create a more natural series of pools and riffles. Montana Trout Unlimited will do a little more road and revegetation work this summer, but this may be the last work season, Scanlan said. All that work has the effect of keeping gravel in parts of the stream where bull trout can spawn. Scanlan said native trout densities are two to three times greater in the restored reaches. Now the project has the added benefit of encouraging beavers to return, yet another sign of a healthy ecosystem. Beavers can take over from biologists and finish restoring the stream, because beaver dams improve water quality, trap and store carbon — and can help retain groundwater during dry spells. Plus when that groundwater wells up at points downstream, it keeps stream temperatures down, helping native fish that need colder water. Recognizing the importance of beavers to stream health, states such as Nevada, Utah, Wyoming and Washington are trying to reintroduce beavers into streams that need help. Fortunately, they moved into Cedar Creek on their own.